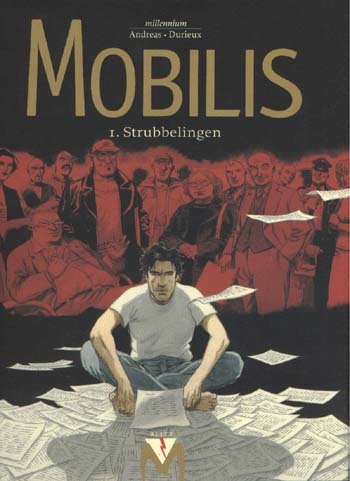 The series Mobilis of draftsman Christian Durieux and scenario writer Andreas seems promising. The edition of the album, like all other books in the Blitz series, has been given a lot of effort. Unfortunately, it could be better, and in Kortrijk they still have not looked hard enough for someone who could make a decent translation into Dutch. To my knowledge I have never "een tas thee gedronken", or had "een vieze haar in de staart". Although reading Heurts gave me some idea. These minor details do not make reading an album a pleasant undertaking and they take the speed from the story. Specially if it concerns the beginning of a new series, creating the conditions for the actual story. The story is set in the second half of 1992. The inexperienced writer Ross Nevada has trouble getting his debut novel published. This is followed by one setback after the other: his girlfriend leaves him, the original manuscript of his debut disappears without a trace, and his mailbox mysteriously keeps filling up more and more. Ross hitches a ride from an ufologist but is kicked out of the car in Nowhereville. At the end of Heurts a (semi)religious manuscript is delivered to him and he receives the assignment to write the biography of a billionaire. In the meanwhile somewhere in the South East of the US a UFO is discovered. So far the abstract of the story, or really the lack thereof. The first part of a series is always hard. The loose wires that should eventually form the the story. Moreover, the end of the album is not a cliffhanger that makes me yearn for more. The story has more shortcomings. For instance, why should we be interested in the problems of Ross Nevada? The only possible explanation is that he is named after the well-known American town Rosswell, where so many weather balloons crash. Undoubtedly, Nevada will be associated with the aliens in the newly discovered UFO, and, knowing Andreas, will be part of the crew of the vehicle. Unfortunately we have seen an earlier and more successful expression of an alien among men. And nobody is waiting for a mix of Rork and the X-files. Not even the solid, yet soulless drawings of Christian Durieux will help. Heurts is not a must-have. 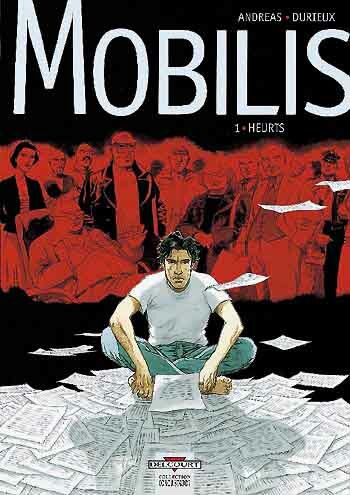 Maybe the rest of the Mobilis series will have some quality, but I fear the worst.